Why settle for just any boat, when you can charter a luxury yacht and revel in a sleek design and sumptuous main deck. Approaching the majestic coastline of Capri and the Amalfi coast in a luxury yacht is the perfect way to create a Dolce Vita memory. If you have packed your swimsuit, you are set to sail! Gianni and his team will make your holiday dreams come true, offering you a tailored concierge service, taking care of arranging private transfers, reserving restaurants and makng sure you won't miss the local nightlife. A private yacht charter means personalized service, privacy, choice - and freedom from fixed tours and itineraries. With our bespoke charter design, you will be able to experience the most spectacular locations around the Mediterranean. Our crew will ensure an atmosphere of pure relaxation, pleasure and delight. We can arrange custom-made tours, transfers and cruises anywhere in the Tyrrhenian Sea. 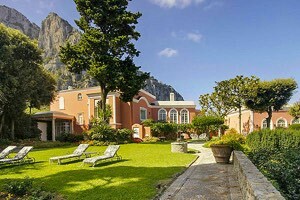 Our offices are located on Capri and our yachts are moored in both Capri and the Amalfi Coast. Our larger vessels can also sail as far as Sardinia and the Aeolian Islands. An open yacht with the best Italian craftsmanship: aggressive yet elegant. Quality, performance, comfort, and design: the open yacht that aims for excellence. Classy, sporty, and elegant...perfect for those who love to conquer the waves in style. The ultimate evolution in Italian elegance and design from Riva. 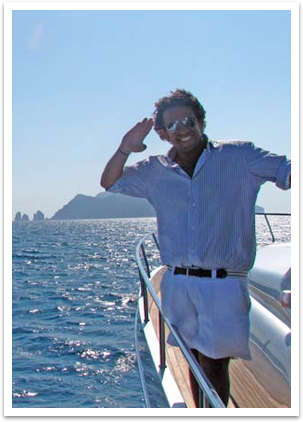 Capri Luxury Boats has been founded by Gianni Tedesco one of the most respected professionals in boat rentals and tours on Capri for years. We owe our success to the passion and care we dedicate to maintaining our boats, crafting our tours and welcoming travellers to our breathtaking home island. To guarantee you are provided with the ultimate luxury experience both on board and on shore, we offer a comprehensive treatment covering concierge services and exclusive luxury accommodations. We will manage all of your extra activities, taking the stress away from you. Are you looking for an extra touch of luxury? 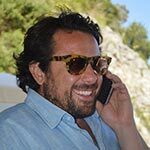 I've been welcoming travellers for years, and often become friends with my clients, who ask for recommendations for the best restaurants, villas, and hotspots on Capri. Because who better than a local friend to help you plan the perfect holiday? 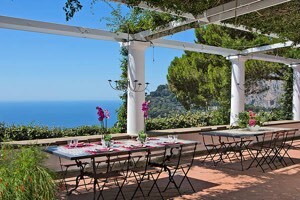 This is why I created Capri360.com for those looking for a top vacation!